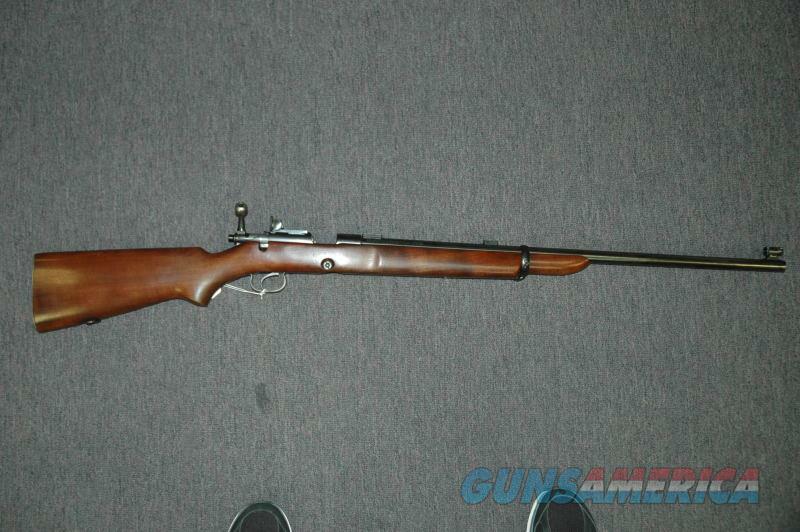 Description: This is a very nice Winchester model 52 for sale chambered in 22 Caliber. The barrel length is 28 inches long and this has a 5-shot magazine. The bore is excellent. The finish on the barrel and receiver are in excellent shape. The stock is in excellent shape. The rear sight is manufactured by Marbles. There is a Lyman rear peep sight and hooded front sight. Functionally this rifle works great with no issues. This item is for sale in my retail store and could be sold while the ad is active. Please ask for more pictures if needed.